NEW YORK — The National Institute for Reproductive Health (NIRH) and the NIRH Action Fund today announced that they will honor Teen Vogue, Amy Brenneman, and the Feminist Women’s Health Center with the annual Champions of Choice award on April 26. Held each spring, Champions of Choice provides an opportunity to honor those whose work — as advocates, health care providers, elected officials, or cultural icons — advances reproductive health, rights, and justice. Over the past two years, Teen Vogue has been a true leader in engaging the young and growing electorate with reporting and groundbreaking analysis on issues of abortion and reproductive rights, social justice, and feminism. Teen Vogue’s honest and impassioned reporting is playing a crucial role in educating young women and destigmatizing abortion. Amy Brenneman is an award-winning actor, writer, producer, and a longtime advocate for abortion access. She is a founding member of the Cornerstone Theater Company, which specializes in original theater centered on themes of social justice, and the creator and star of Judging Amy. The Feminist Women’s Health Center, an independent abortion provider in Atlanta, provides quality care and community education, while advocating to improve the health and wellbeing of all Georgians. It wields a strong political voice in the state capital, working to overcome barriers to abortion care for traditionally underserved women and communities. 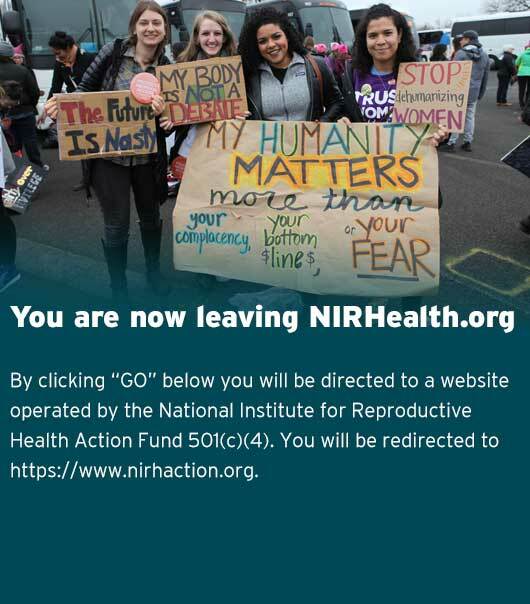 “In this historic moment, in which access to abortion and contraception are under extreme attack, these champions are breaking through the political noise and garnering the attention of influencers, emerging activists, and women of all ages,” said NIRH and NIRH Action Fund President Andrea Miller. “The importance of such strong voices cannot be underscored enough. They are providing the forward-looking leadership we need to protect and advance reproductive health, rights, and freedom. The Champions of Choice event supports NIRH’s efforts to build power at the state and local levels to advance reproductive freedom, as well as the NIRH Action’s Fund’s electoral and policy work. Past honorees have included President Bill Clinton, Mayor Michael Bloomberg, Sen. Kirsten Gillibrand, Glamour Magazine editor in chief Cynthia Leive, Dr. Willie Parker, and many more.